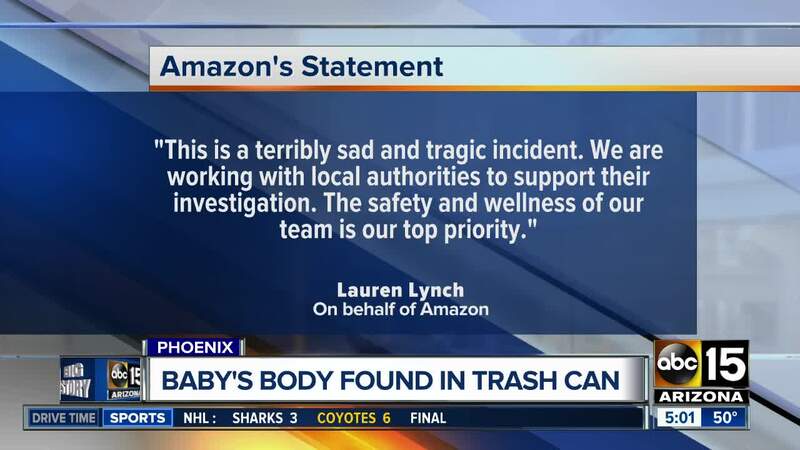 According to Phoenix police, the incident was reported at the facility near 51st Avenue and Lower Buckeye Road around 8:30 p.m.
A newborn is dead after being found in a trash can inside of a restroom at an Amazon distribution center in Phoenix on Wednesday evening. LIVE: Police expected to give update on investigation at 8:30 a.m. Watch here. Police say the baby was beyond resuscitation when first responders arrived at the scene. In a statement, an Amazon spokesperson said it was working with police on their investigation. Police said the warehouse remained in operation while officers were on scene. Officials say they have located the mother and have spoken with her. She is not being identified at this time. 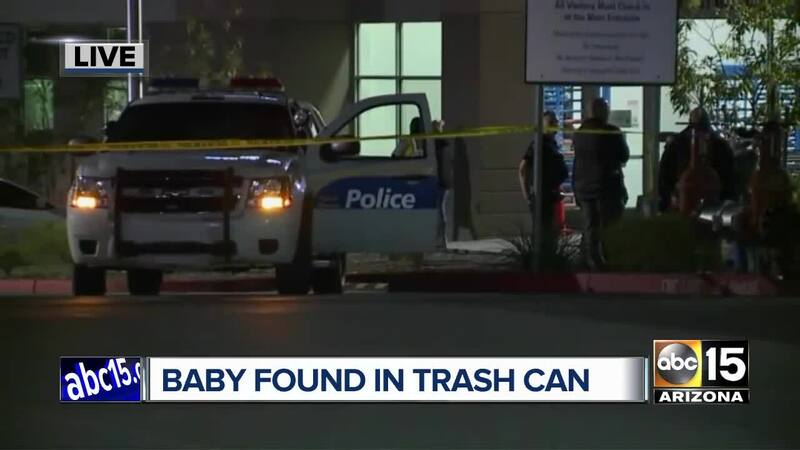 "You can leave your baby, up to 3 days old, with an on duty staff member at any hospital, emergency medical service provider, fire station or with any licensed private child welfare agency, licensed adoption agency or any church in Arizona." Some hospitals also have special drawers to leave babies without having to speak with anyone.